Chris George established CG&A COMMUNICATIONS in 1994 to provide public, government and media relations services. Today, after 25 years, the firm is still providing reliable counsel and effective advocacy to advance its clients’ interests. Connect with the By George Journal, the firm’s blog. We are advocates first and foremost. To advocate is to argue, to persuade, and to move mountains. For your objectives, we will do all of these and more. We will represent you. We will also counsel your key spokespeople on how and what to speak. We are wordsmiths and copy-editors who work with words. We can craft language to bring ideas to life, and employ words to impress, persuade and make a statement. Your words matter. You must make them count. We will ensure that they do. We are public relations advisors working with our clients to manage a critical issue and position ideas, or to marshal a public or government relations campaign. Need to make a point? Better sharpen your message and take aim. Challenged? Let us help you. Over the years our clients have been both private and not-for-profit, ranging from corporate entities such as an international airport and a private security force, to public institutions such as hospitals and health care services; from a preeminent national victims’ rights organization to provincial ministers and senior government officials. 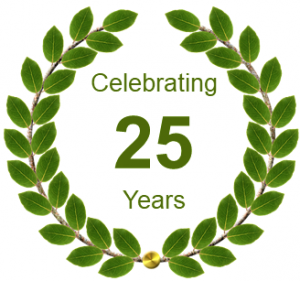 Here is a full list of clients through the 25 years. Our company has completed work for a list of clients that has grown to include a full gambit of small to large corporate entities and not-for-profit organizations, and all levels of government. social media content for blogs, Facebook, Twitter, etc. The company operates as a virtual corporation, providing clients with a pool of expertise drawn together from a talented freelance consultancy network. CG&A works on-site, face-to-face, or will provide virtual assistant services. Our network of seasoned consultants delivers professional communications initiatives – on time and on budget. invaluable team-members who demonstrate leadership and dedication to the task. Chris George has had a career in public and government relations counsel with an extensive background in advocacy services that includes campaign management, stakeholder relations, community outreach, freelance social media and writing services, and issue and reputation management.